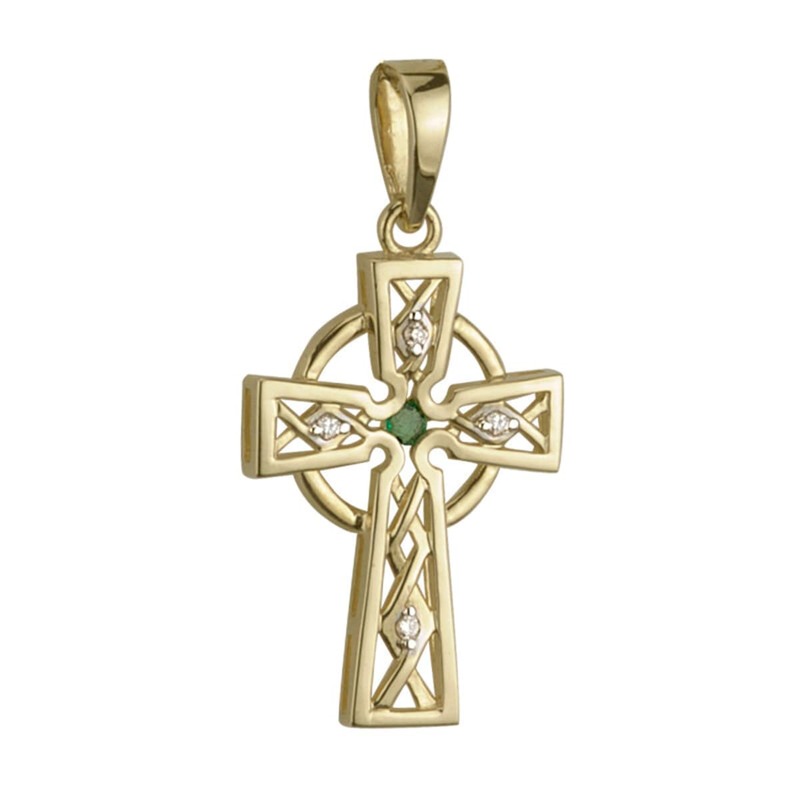 14k yellow gold traditional Celtic cross set with emerald and diamonds. Elegant handmade filigree Celtic cross pendant cast in 14k yellow gold set with one real center emerald and four round brilliant diamonds. The cross measures 14mm wide and 29mm high (including bale) and is set with 0.04ct emeralds and 0.02ct round brilliant diamonds. 18 inch 14k gold chain. Handcrafted in Dublin and hallmarked at the Irish Assay Office.